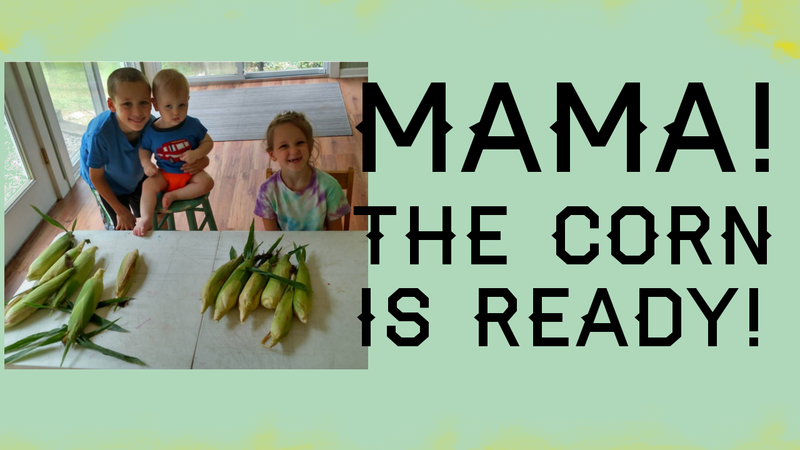 Home In The Kitchen Mama....The Corn Is READY! I'm Finally back & somewhat settled in here at the new house! Sorry for the overload of videos, We've had a lot going on this week but since I've been MIA for a few weeks, I've decided I'd go ahead and post them all now instead of spacing them out. Here's the first video shot at the new place! The corn is finally ready here in wnc! So thankful to help little helpers. We have been so busy I wasn't sure if we'd get any out up at all! 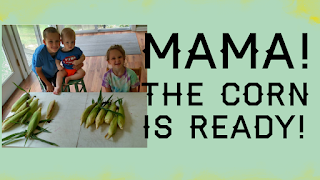 We here in the south LOVE us some creamed corn. (No actual cream is added.) Enjoy!